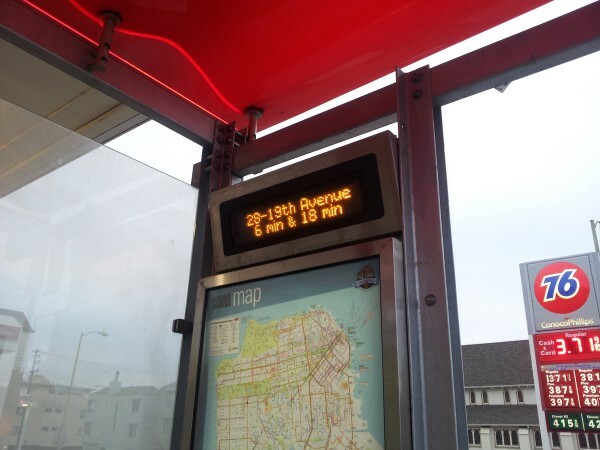 Home Installed RPi Powered SF Muni Sign @Raspberry_Pi #piday #raspberrypi « Adafruit Industries – Makers, hackers, artists, designers and engineers! This fantastic project by Pavel Shved keeps him up to date on San Francisco’s weather and bus schedules at home, in SF Muni style! One morning I located the item I wanted in the wild. Actually, I’ve been seeing it every day, but was not realizing that it would solve my problem. That is it! 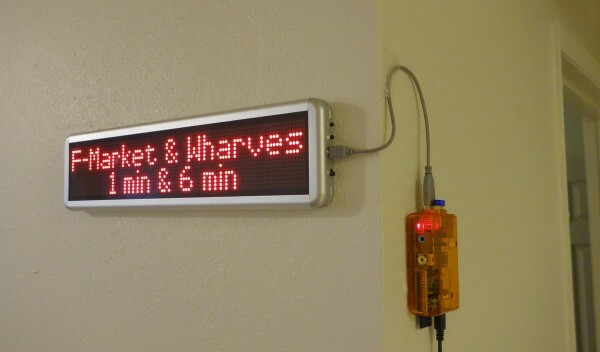 I can mount a similar sign on my wall, drive it with something like Raspberry Pi or even my desktop PC, and write some software to download, process, and display the train arrival times! I can even teach it to show weather forecast to quickly see if I need to take an umbrella.